Great fit and great value. Im a happy repeat customer. Could not ask for a finer shirt! Nice looking shirt as usual, but the extra slim fit does not fit as nicely as it used to. There is definitely more fabric than when I ordered a couple years ago. Will have to try the super slim next time. Response from Charles Tyrwhitt: I'm sorry to learn the Extra Slim Fit does not appear to be the perfect fit for you, which is a shame. We haven't increased the sizing in any way, however, so this is a touch strange! 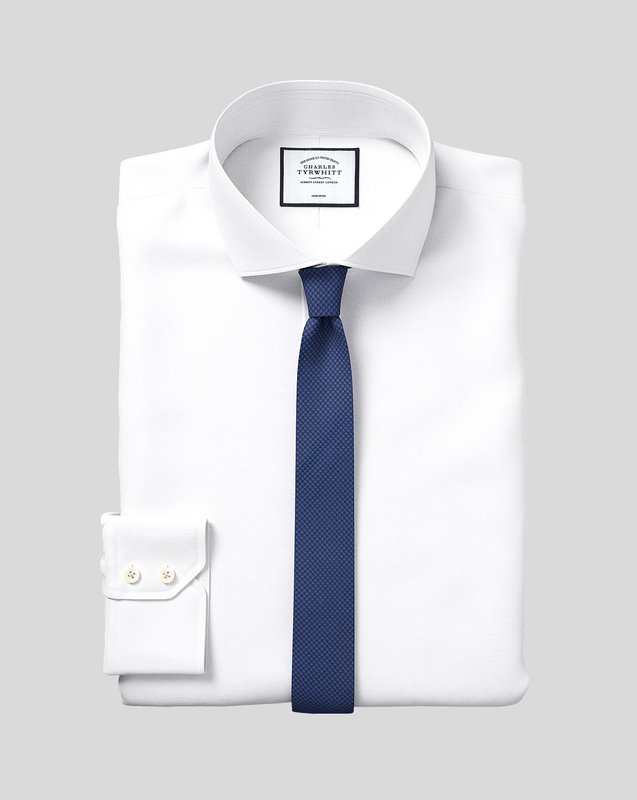 Looking over your prior orders, you have increased the collar size from 15.5" to 16" - which will increase the overall fit of the shirts by around 2". You may be keen to know that we now offer a Super Slim Fit, which may be just what you are looking for in the 16" collar. Please feel free to pop the shirt back to us and we'll provide an exchange.